Country music fans remember Donna Ulisse from her days when she was signed to Atlantic Records in the early 1990’s where she released a critically acclaimed album Trouble at The Door with three singles and two videos. She was also a guest on many national television shows including Hee Haw, Nashville Now, Crook and Chase and NBC’s Hot Country Nights. These days Donna Ulisse is a key figure in the bluegrass, folk and acoustic music scene as a singer and songwriter. 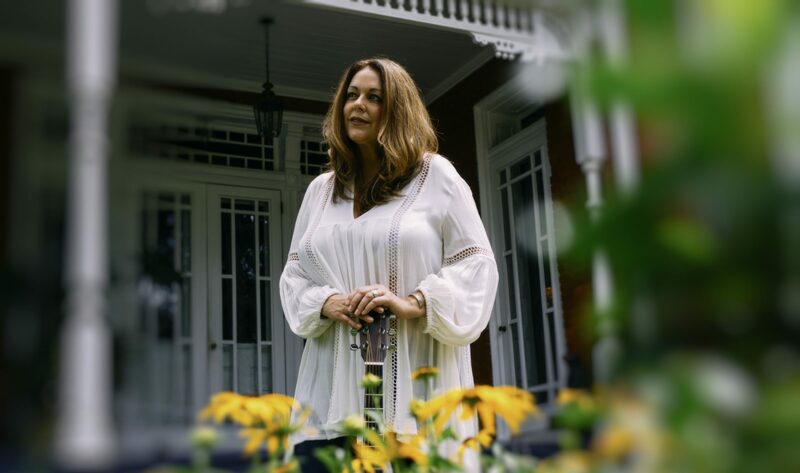 Her single “It Could Have Been The Mandolin” from the album Hard Cry Moon topped the Bluegrass Unlimited chart at #1 for two months in a row in 2016 and the album topped the Roots Music Report chart at #1. She also won the award for 2016 International Bluegrass Music Association’s Songwriter of the Year. In 2017 she signed with Mountain Home Music Company, record label of some of bluegrass music’s brightest stars and released her eleventh career album “Breakin’ Easy”, produced by bluegrass legend Doyle Lawson. She was a featured guest on RFD-TV’s Simply Bluegrass show hosted by Ricky Skaggs which featured the biggest names in the genre. She also did a month long stint in 2016 as host of Bluegrass Ridge, a video television show on Heartland TV Network which has several of her videos in regular rotation. Named the 2016 IBMA Songwriter of the Year, she has had her songs recorded by bluegrass artists Claire Lynch, Darin and Brooke Aldridge, The Bankesters, Doyle Lawson, Larry Stephenson Band and Volume Five to name a few, as well as a song on the 2014 Grammy winning album Streets of Baltimore by the Del McCoury Band. In 2017 she was the winner of IBMA Song of the Year for the song “I Am A Drifter” recorded by Volume Five. She authored the book The Songwriter in Me: Snapshots of My Creative Process and is the founder of Lil House Songwriting Workshops offering aspiring songwriters the opportunity to write with her and other pro writers in order to improve their skills. She also keeps a busy touring schedule playing festivals and concert venues with her band.